E-mail written 2002 to Lew Griffin from Lucie Barton Adger. Elva Culpepper, Granddaughter, F, 4, S, GA/GA/GA. Elbur Alligood, Brother-in-law, M, 20, S, GA/GA/GA, Helper on farm. E-mail written 1998 - 2012 to Lew Griffin & Warren Culpepper from Kenneth Wayne Culpepper (#39229), 1918 Baker Church Rd, Rentz, Laurens Co., GA 31075, e-mail address (Jul 2012). Elbie O Culpepper, White, Married, born 1921 in Georgia, residing in Hillsborough Co., Florida, enlisted as a Private in the US Army on 27 Aug 1942 at Camp Blanding, Florida. Charles Culpepper, Son, M, 1 1/12, S, GA/GA/GA. Henry Lee Culpepper, Hillsborough Co., FL, White, Male, died Feb 1961. 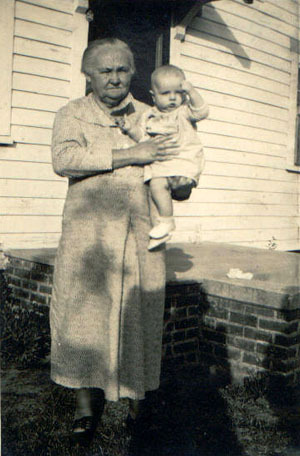 Myrtle Baine Culpepper, Hillsborough Co., FL, White, 19 Jan 1898 - 19 Jan 1977. Tampa Bay Times, Tampa, Florida. Obituary of Oblin Culpepper (#44644), published 17 Dec 2012. E-mail written March 2006 to Warren Culpepper from Jacqueline Barden Furlong (#54523), e-mail address. The original source for this version of his name is unknown. Carrol C Culpepper, White, Married, born 1924 in Georgia, residing in Hillsborough Co., Florida, enlisted as a Private in the US Army on 11 Mar 1943 at Camp Blanding, Florida. Robert Nix Ballard and Helen Lafaye Culpepper Walker married 20 Oct 1978 in Hillsborough Co., FL. E-mail written 2 Jul 2011 - Jun 2015 to Lew Griffin Warren Culpepper from Katherine Culpepper Jaeger (#62527), e-mail address. Everette Wayne Culpepper Jr, Vol 2049, Cert 14400, Hillsborough Co., FL, White, Male, died Apr 1959. William Eugene Pace and Shirley Culpepper Winslow married 6 Nov 1981 in Polk Co., FL. E-mail written May 2009 to Culpepper Connections from Dianne Collins Orr (#60520), e-mail address. Lillian Culpepper, Daughter, F, 5/12, S, GA/GA/GA. Joseph L. Culpepper, d. 12 Sep 1952 at 56 years in Laurens Co., GA; Res. in Wilkinson Co., GA.
Lola Culpepper, d. 13 Sep 1984 at 86 years in Baldwin Co., GA; Res. in Wilkinson Co., GA, 032477. 6 Nov 2000. Obituary for Joseph Kinard Culpepper. Obituary of Ura Stewart Culpepper (#50232), published 10 Sep 2013. Research note* � Colin Culpepper may be the "Calan Culpepper" who died 23 Sep 1927. If so, he probably died as an infant. An inspection of his death certificate should clarify this matter. Calan Culpepper, d. 23 Sep 1927 in Laurens Co., GA, Cert # 22133-I. Benjamin Turner, 28, M, GA, Farmer, $625/$480. E-mail written Jan 2006 to Warren Culpepper from Juanita J. Brown, e-mail address. Robert C. Whitehead, compiler, e-mail address, DeVore-Whitehead Genealogy: Malcolm Robert Peacock Descendants, 2004. FHL Film 1254167 National Archives Film T9-0167 Page 363A. FHL Film 1254141 National Archives Film T9-0141 Page 291B. Shiloh Beat, TWP 13, Page 502, Family 151. Gladys Barfield, Boarder, F, 25, md @ 15, GA, GA, GA.
James G. Culpepper, d. 6 Jan 1973 at 74 years in Colquitt Co., GA; Res. in Colquitt Co., GA, #001462. Annie P. Culpepper, d. 31 Mar 1991 at 93 years in Colquitt Co., GA; Res. in Colquitt Co., GA.